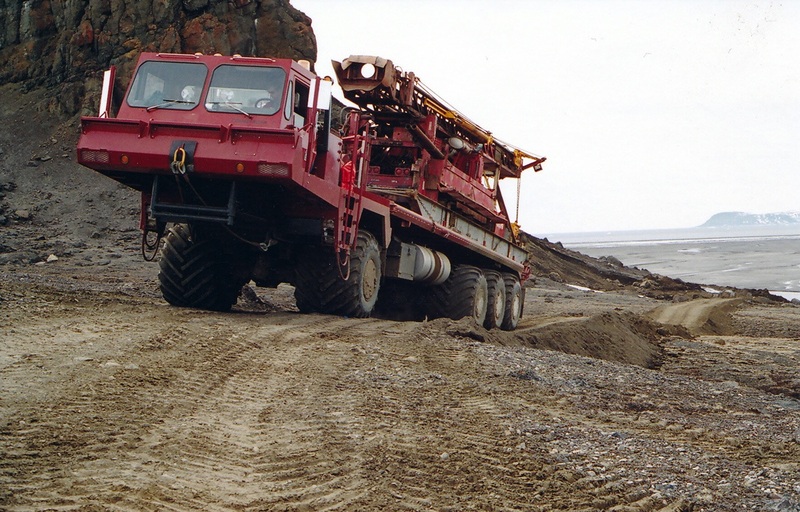 Foremost is a Canadian company specialized in oil & gas, heavy oil, mining, water well and construction equipment. You can have here on Foremost’s website a complete overview of their activities and product. 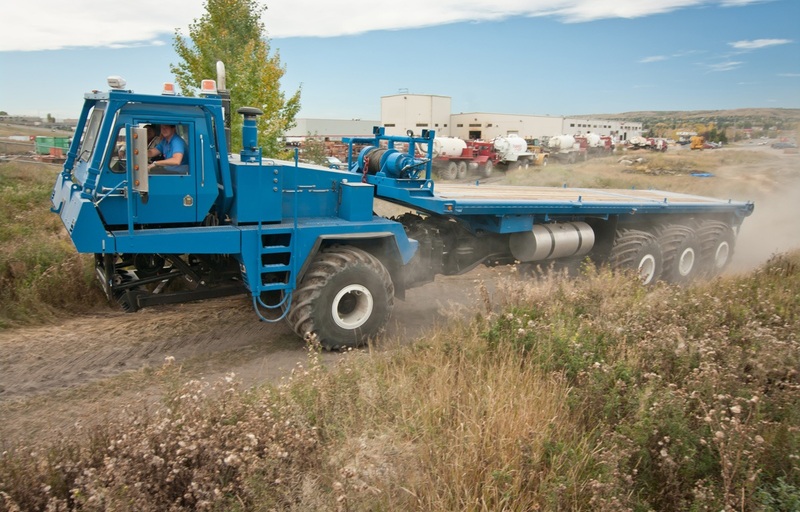 The Commander C Tri-Axle was launch in 2011 and is a 8×8 evolution of the classic 6×6 Commander C. “by adding a third axle to allow for an extended oilfield deck while maintaining low ground pressures. 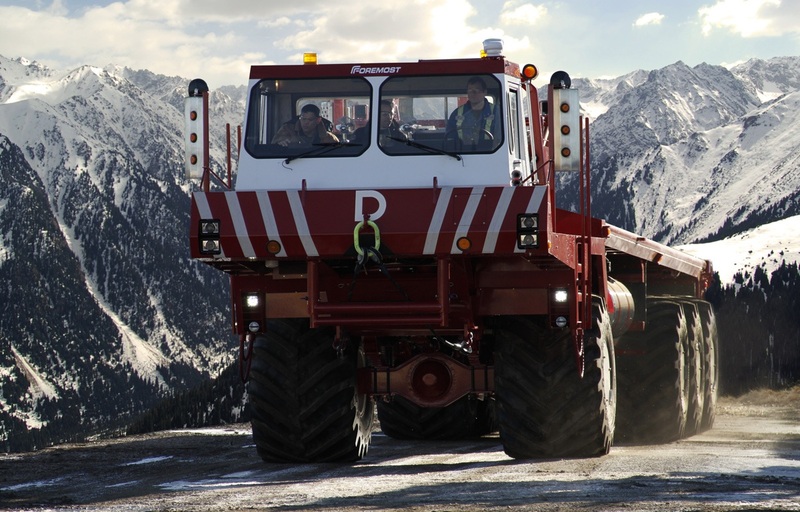 This also increases the maximum payload capacity from 60,000 lbs (27,216 kg) to 80,000 lbs (36,287 kg).” says Foremost. 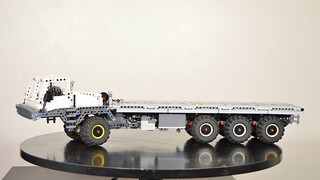 In the main line the truck is an all wheel drive articulated truck mounted on Terra tires, equipped with a 500hp Cummins engine, a 11m bed and a 58t winch. 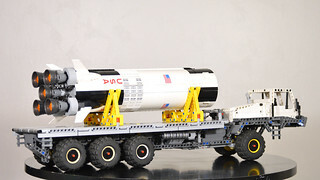 The full documentation of the Commander Series is available here. 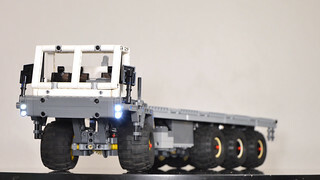 The truck is a 8×8 articulated RC truck. 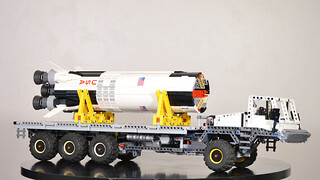 The tires used are 68.8 x 40 Balloon Large. 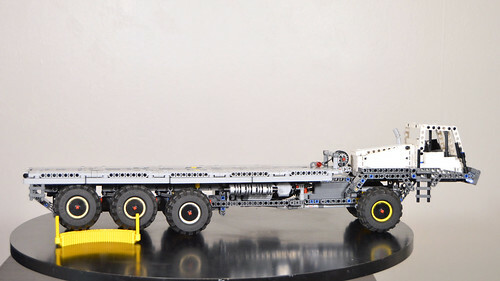 The front axle is only pendular, just to simplify the construction. 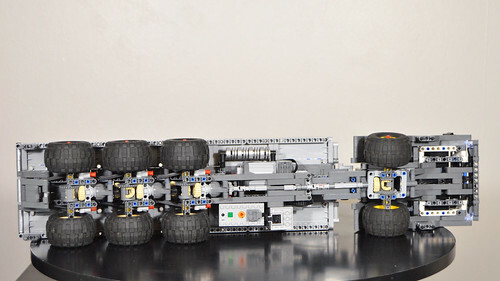 The 3 rear axles are pendular and independent from each other. 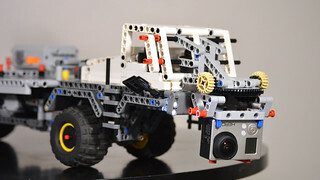 The forward axle has stiffer shock absorber to support the weight of the 2 motors and the battery box. 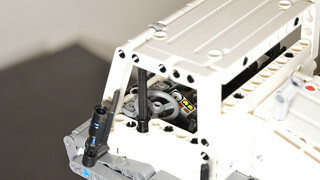 The winch is manual and equipped with a locking mechanism. There is only few details in the cabin, it is actually hard to find pictures, it is a simple three seats cabin. The driver’s seat is equipped with some instruments. 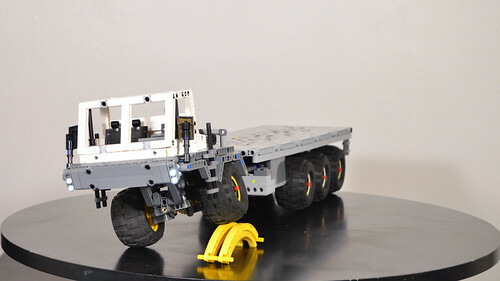 The Lego Digital version of this truck is available on the download page. 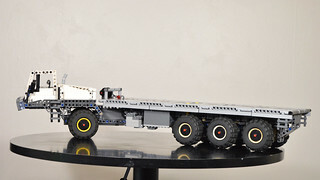 This MOC is available for sale on MocHub.